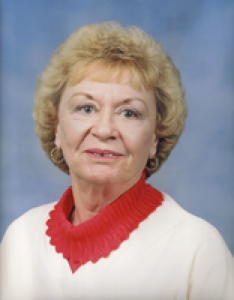 Zelma K. Dilbone, 85, of Sidney, died at the Pavilion Nursing Home, Sidney, Ohio on Monday, August 27, 2007 at 9:55 PM. She was born February 9, 1922 in Phil Campbell, Alabama the daughter of Parks and Velma (Kuykendall) Heath and they are deceased. She moved to Sidney in January, 1958 from Chattanooga, Tennessee. She married David M. Dilbone on March 24, 1967 and he died September 10, 1983. Surviving are two stepsons, Mike and wife Janet Dilbone and Mitch and wife Laverna all of Sidney; seven grandchildren, Tina and husband Dan Broadderick of Mason, Ohio; Chris and wife Sarah Dilbone of Bowling Green, Ohio; Chad and wife Becky Dilbone of Graham, Texas; Monica and husband Dan Turner of New Palestine, Indiana; Michelle and husband Bill Everett of Sidney, Ohio; Jennifer and husband Chad Stratton of Kokomo, Indiana; and David and wife Summer Dilbone of Troy, Ohio and fifteen great-grandchildren; one sister, Willene Budai of Chandler, Arizona. Two sisters are deceased, Gladys Layton and Helen Merrell. She was a past member of East Center Baptist Church, Center, Alabama. She worked at the Atlas Underwear Company in Piqua, Ohio for thirteen years and retired in 1970. Funeral services will be on Saturday, September 1, 2007 at 10:00 AM at Salm-McGill and Tangeman Funeral Home with Rev. Brad Warkentine. Burial will be at Shelby Memory Gardens, Sidney, Ohio. Friends may call at the funeral home on Friday, August 31, 2007 from 4-8 PM. Memorial contributions may be made to the charity of one's choice.